In this week’s parasha, Vayishlach, we read about Jacob’s return to the Holy Land after twenty years in Charan. After some time, Jacob and the family make a stop in Beit El, where Jacob first encountered God decades earlier. God appears to Jacob once more, and promises that “the land which I gave to Abraham and to Isaac, I will give to you and to your seed after you” (Genesis 35:12). God makes it clear that the Holy Land is designated solely for the descendants of Jacob—not the descendants of Esau, and not the descendants of Ishmael, or any other of Abraham’s concubine sons. It is the land of Israel, the new name that Jacob receives in this week’s parasha. 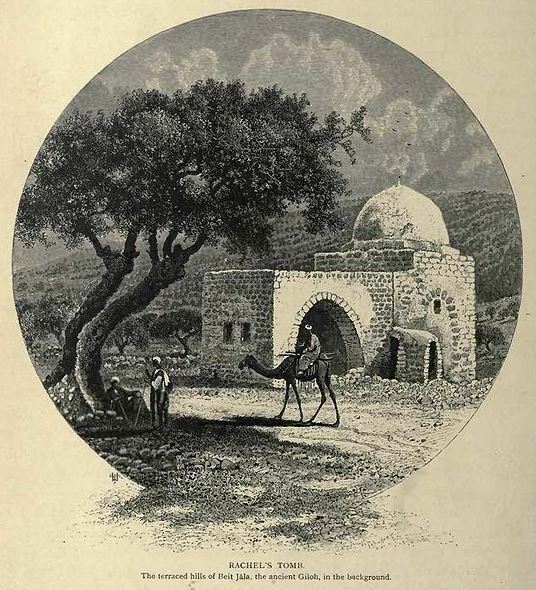 In fact, in this parasha we see mention of many Israelite sites, both ancient and modern, such as Hebron and Bethlehem. In our day, all of these are unfortunately within the political entity typically referred to as the “West Bank”. This title comes from the fact that the area is geographically on the west side of the Jordan River. Initially, the British Mandate for Palestine included both sides of the Jordan River, before the British gave the east to the Arabs to create the state of Jordan. 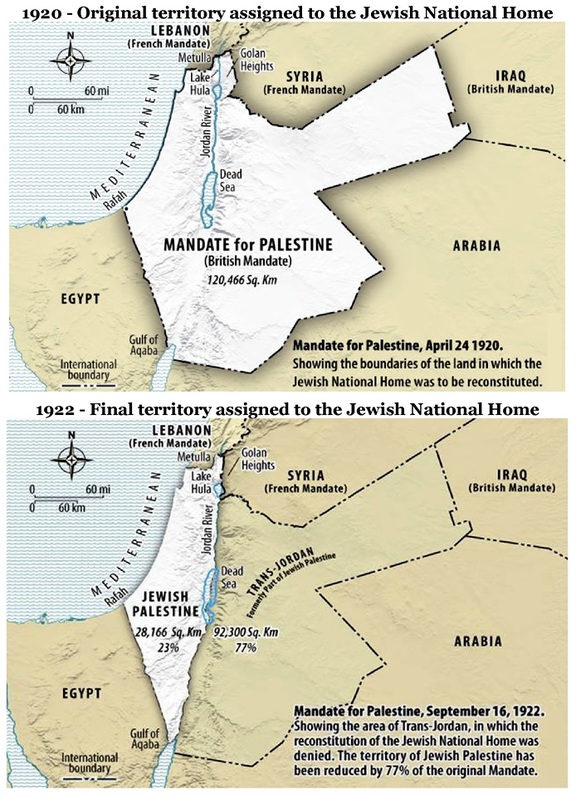 This was the original “partition plan” for Palestine, with the eastern half meant to serve as the Arab state and the western half to become a Jewish one. Many have forgotten this important detail. 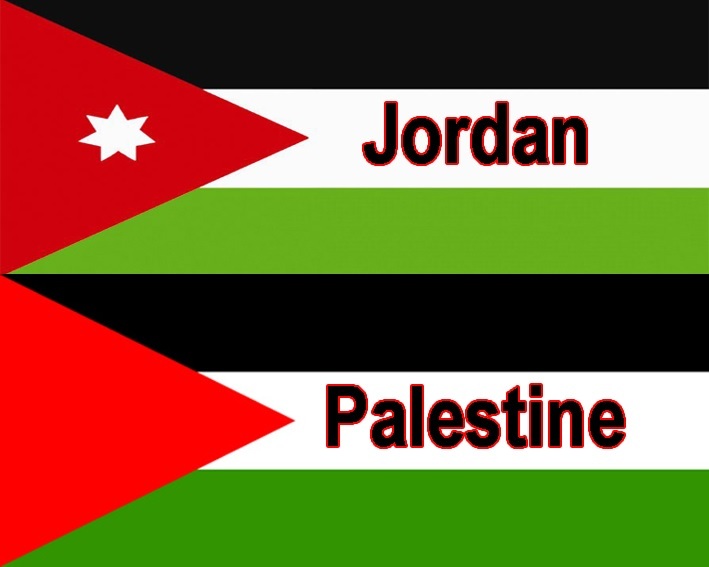 The current flags of the state of Jordan and the Palestinian movement. 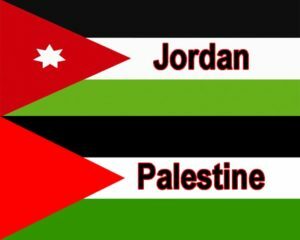 It is estimated that about half of Jordan’s current population of 9.5 million is Palestinian Arab. And they journeyed from Beit El, and there was still some distance to come to Ephrath, and Rachel gave birth, and her labor was difficult… So Rachel died, and she was buried on the road to Ephrath, which is Bethlehem. And Jacob erected a monument on her grave; that is the tombstone of Rachel until this day. 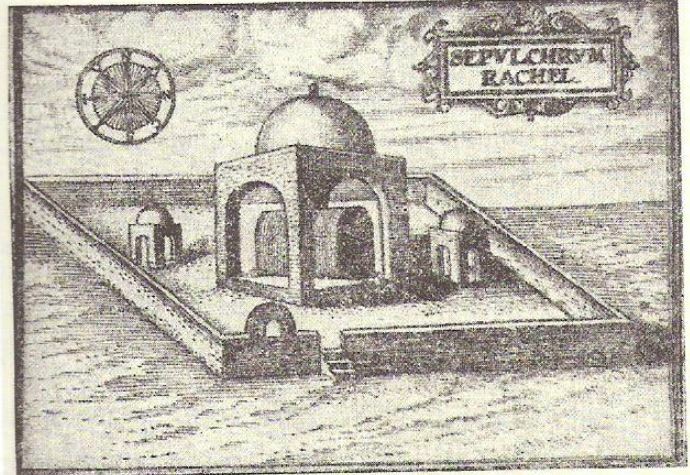 Throughout history, Rachel’s tomb was one of the most venerated sites in Judaism, and is often described as the Jewish people’s third-most holiest site (after the Temple Mount/Western Wall and Cave of the Patriarchs). 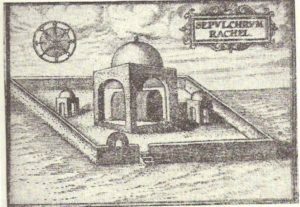 As early as the 4th century CE the historian Eusebius already wrote of Rachel’s tomb being a holy site for Jews and Christians. Keep in mind that this is two centuries before anyone even whispered Islam. Not that it really matters, since Islam does not consider this a particularly special place. The Arab-Muslim historian and geographer of the 10th century, Al-Muqaddasi, doesn’t even mention Rachel’s tomb in his descriptions of Muslim-controlled Israel and its holy sites. has always been held in respect by the Jews and Christians, and even now the former go there every Thursday, to pray and read the old, old history of this mother of their race. When leaving Bethlehem for the fourth and last time, after we had passed the tomb of Rachel, on our way to Jerusalem, Father Luigi and I met a hundred or more Jews on their weekly visit to the venerated spot. Throughout the 1800s, the local e-Ta’amreh Arab clan had blackmailed the Jews to pay up 30 pounds a year or else they would destroy the tomb. In 1995, Arabs—led by a Palestinian Authority governor—attacked Rachel’s tomb and tried to burn it down. In 2000, they laid a 41-day siege on the site during the Second Intifada. In light of this, it made total sense when UNESCO declared in 2015 that Rachel’s tomb is a Muslim holy site that is “an integral part of Palestine”. The laughable resolution only confirms the senselessness and irrelevance of the United Nations. This entry was posted in Archaeology & History, Kabbalah & Mysticism, Mashiach & End of Days and tagged Abraham, Arab-Israeli Conflict, Beit-El, Benjamin of Tudela, Bethlehem, British Mandate for Palestine, Cave of the Patriarchs, Ephrath, Esau, Exile, Ingathering of Exiles, Intifada, Isaac, Ishmael, Jacob, Jeremiah, Jerusalem, Jordan, Jordan River, Judea and Samaria, Moses Montefiore, Nathan Straus, Old City, Ottoman Empire, Rachel, Rachel's Tomb, UNESCO, United Nations, Vayishlach, West Bank, Zosimos on November 28, 2017 by Efraim Palvanov.